Sunday Lunch at Kirtlington Golf Club. Our traditional Sunday Lunches are available every week from 12-3pm and everyone is welcome. We use locally sourced ingredients, freshly prepared every Sunday. 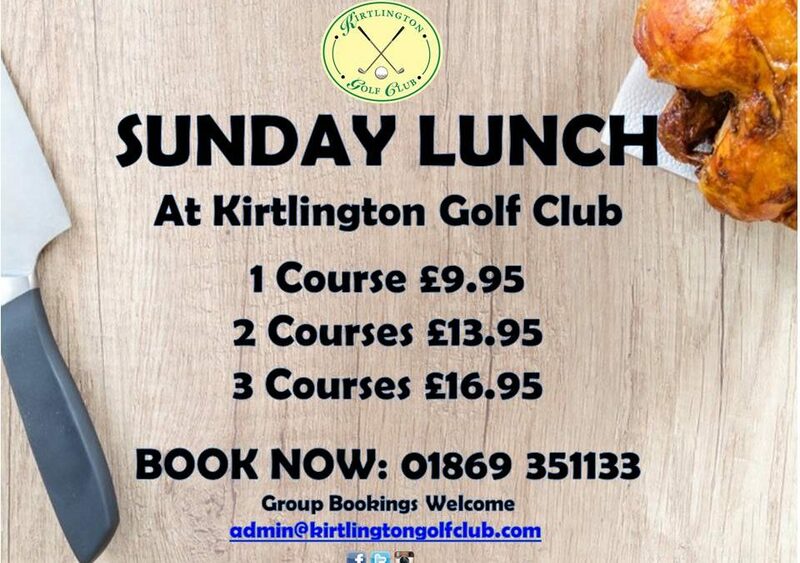 Get together this weekend and book a table at Kirtlington Golf Club by calling 01869 351133.